Temporary chief of Rīgas satiksme Anrijs Matīss will remain at the help of this company even though earlier this week he allowed for the possibility of leaving the company if no clarity in regards to his proposed changes is achieved. He said as much after more than an hour-long meeting with Mayor of Riga and RS shareholder Nils Ušakovs. 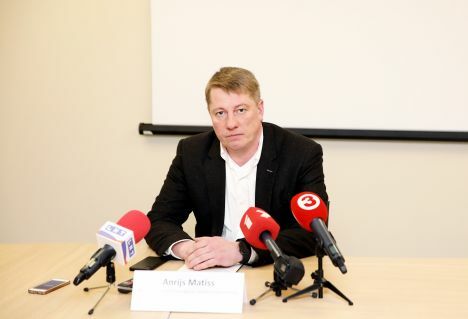 Riga’s mayor claimed Matīss has his full support to continue his work in the company. The main subject of worries today is the company’s budget, which is exactly what shareholders plan to discuss tomorrow. According to him, there is no reason to believe Rīgas satiksme has stability problems. Matīss was appointed the temporary chief of Rīgas satiksme on 13 December 2018, replacing the dismissed Leons Bemhens, who is a suspect in a criminal case investigated by Corruption Prevention and Combating Bureau. After his approval, Matīss commenced an audit in the company. The audit revealed that, for example, EUR 6 million was overpaid in a fuel procurement project with a firm whose owners hide behind offshore companies; the loan issued for procurement of trams was spent on wages; maintenance of the expensive e-talon system cost the company 40% of the money charged for tickets, Ir magazine reports. Auditors also found out that part of the EUR 50 million large loan, which SEB Bank provided for the procurement of 20 low-floor trams, was spent on wages simply because the company had no money. This hole was covered at the end of last year by Riga City Council’s grant of EUR 17 million. Money was put back on the bank account, and now one is allowed to touch it, Matīss told journalists. Approximately EUR 3 million was overpaid in 2016 and 2017 in a poorly organized fuel procurement project. In November 2015, Rīgas satiksme signed a five-year fuel supply contract with RDZ Energy, whose owners hide in Malta and British Virgin Isles, Ir magazine reports. Approximately half of this company’s turnover is comprised of revenue from Rīgas satiksme, whereas its true beneficiaries remain unknown. As it is known, the criminal process launched by KNAB is associated with three procurements of Rīgas satiksme. Authorities are investigating bribery of officials and money laundering.